So this weekend I got to sit down and actually do some crafting! That is a rare occurrence and I received some amazing supplies from Tulip For Your Home and was all set to create a gorgeous pillow case with their new products. 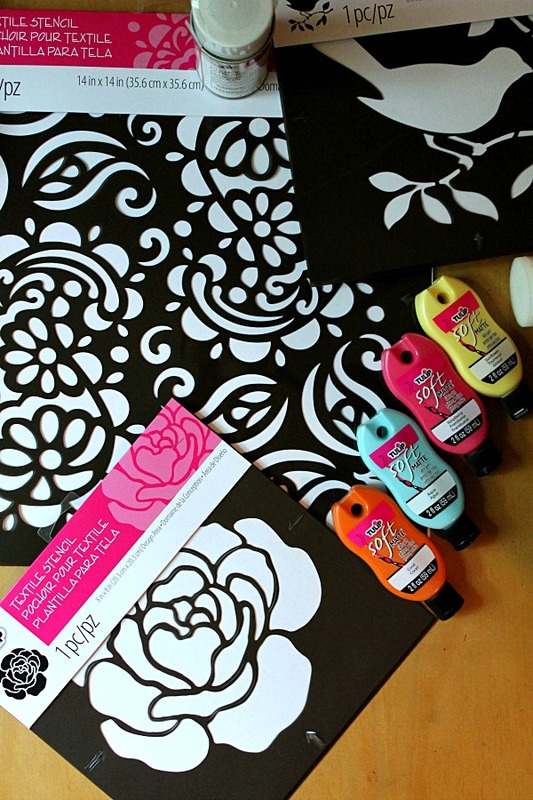 Beautiful stencils, fabric paint in amazing colors and this great adhesive stencil spray that keeps your stencil right where it needs to be. 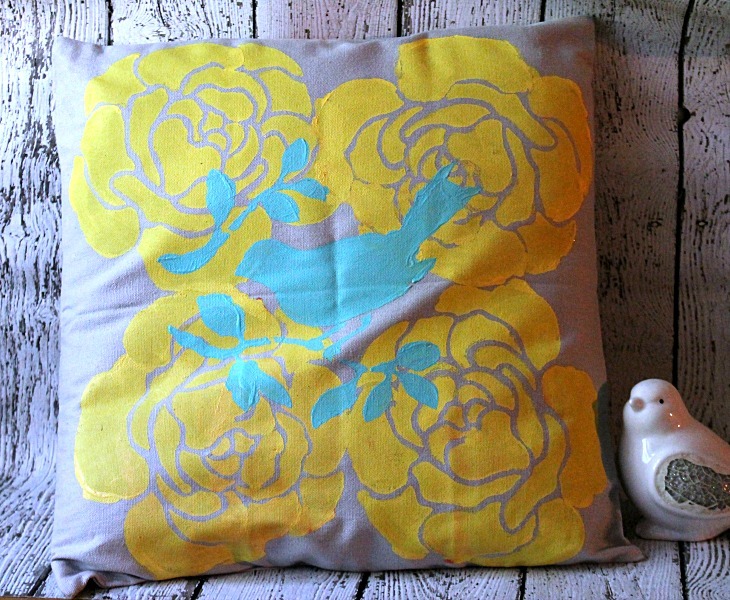 I finally decided I wanted a little vintagy, shabby chic feel to my pillow and begin stenciling on the huge flowers in the soft yellow paint. The adhesive spray made life sooo much easier when it came to keeping my stencil in place. You just select your pillow case, spray your stencil with the spray, press in into place and being rolling on an even layer of your paint. After the first one just repeat your steps with a flower in each corner. 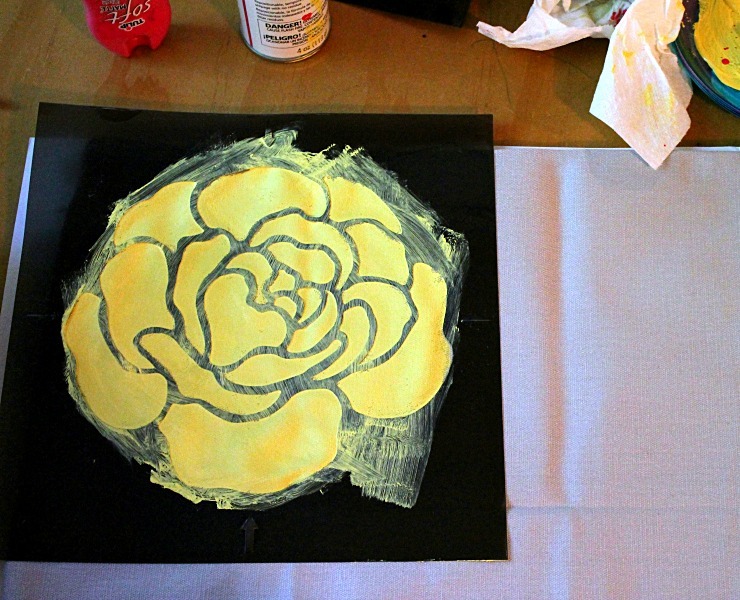 Let each flower dry before stenciling on the next since they will overlap. Once dry I added this lovely bird stencil. Again I sprayed it with the adhesive pressed it into place so it overlapped the flowers and applied an even layer of this gorgeous teal paint. I let the paint sit for a few before pulling off the bird stencil. Then let it dry completely. 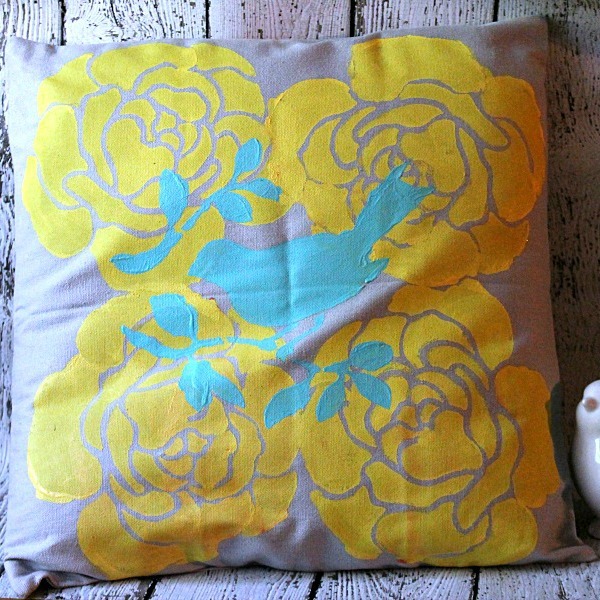 I inserted a pillow into the case, zipped it up and in no time I had a custom beautiful pillow that goes perfect with all the bird decor in my home and the colors are just so amazing together and look great on my gray sofa. I just love it and I cannot wait to make more!! It was so quick and so easy and with so many stencils and paints to choose from my mind is spinning with what I can make next, curtains, placemats, a rug? 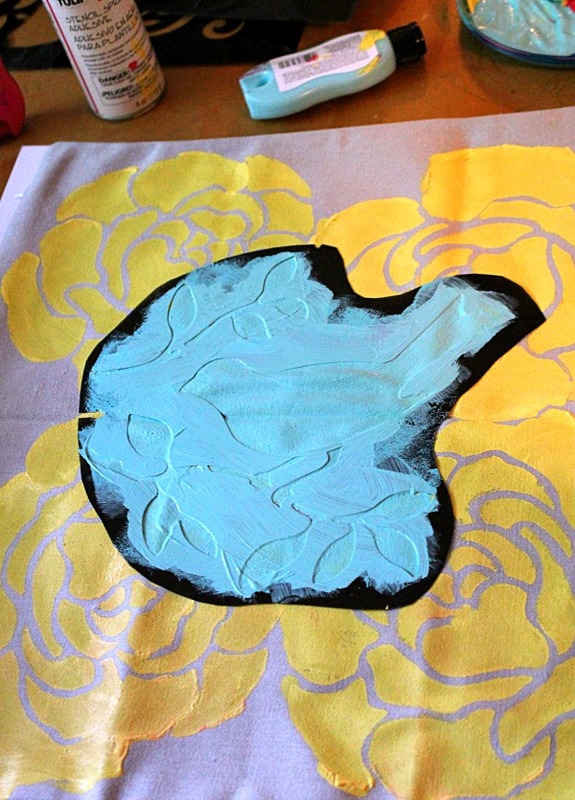 What kind of project would you make with Tulip stencils and paints? 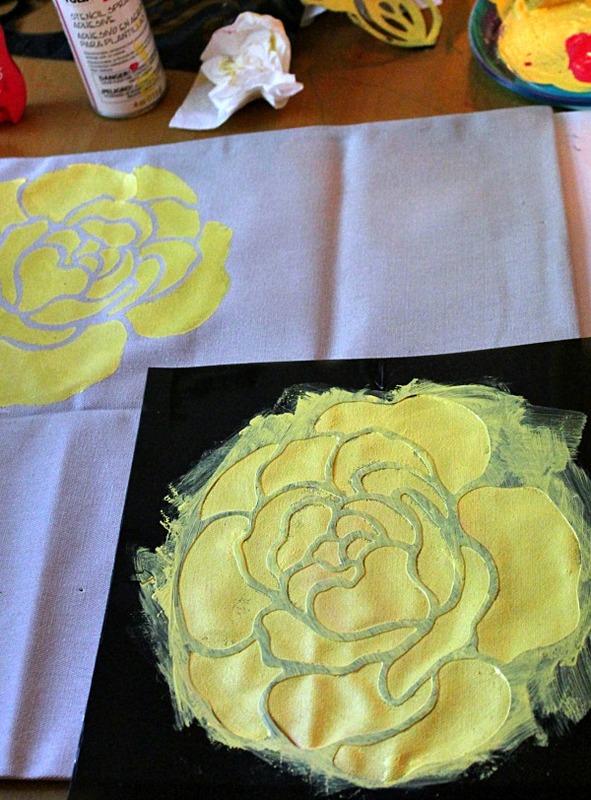 Check out these great projects for more pillow ideas! !